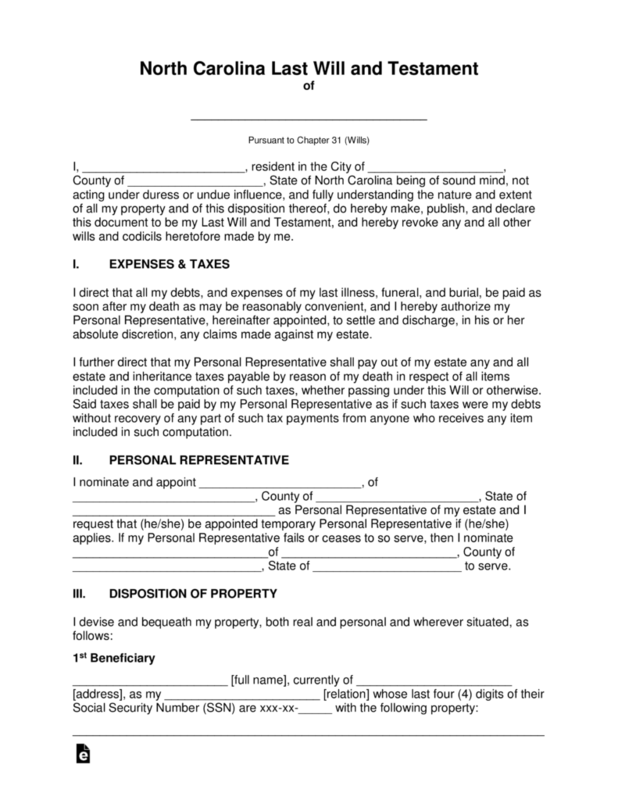 The North Carolina Last Will and Testament is a legal document that is planned and prescribed by a testator to ensure that the estate held by the testator is properly distributed according to their wishes by a trusted executor upon their death. 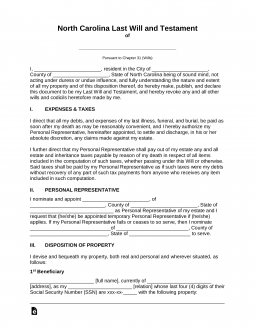 This document will likely offer ongoing financial protection to their family when the testator is no longer available to care for them, but could also provide for friends, extended family, selected organizations among others. The testator will likely have an executor or representative who they trust to oversee distribution of real property, digital, personal, fiduciary and other types of property. The document will require witnesses willing to provide signatures and a notary public will be required to witness and acknowledge those signatures. It should be understood that the as long as the testator is of sound mind, they may elect to change or revoke the document at any time they so desire. Signing (G.S. 31-3.3) – Signed by the testator and attested by at least two (2) competent witnesses. Step 7 – Notarization of Document – The remainder of the document will be completed by the notary as required.